Wolf Commercial Real Estate, a leading Cherry Hill commercial real estate brokerage firm with expertise in Cherry Hill commercial real estate listings and services, now has available premier Cherry Hill retail space for lease in the Crossroads Plaza at 843 Cooper Landing Road Cherry Hill NJ. This well-located Cherry Hill retail space for lease is in a heavy-traffic shopping center and interested parties will find a Wawa and a Rite Aid at either end of this retail space in Cherry Hill NJ. Both the Cherry Hill and Moorestown malls are just minutes away from this retail space for lease in Cherry Hill NJ in the Crossroads Plaza at 843 Cooper Landing Road Cherry Hill NJ. There are from +/- 1,120 and 10,000 square feet of divisible retail space in Cherry Hill NJ available in this shopping center. The asking lease rate for this retail space in Cherry Hill NJ is $16.00 sf/ NNN and this retail space for lease in Cherry Hill NJ is available for immediate occupancy. 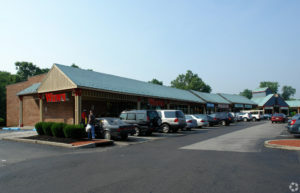 This retail space in Cherry Hill NJ in the Crossroads Plaza at 843 Cooper Landing Road Cherry Hill NJ is at the key intersection of Route 38, Church Road, and Cooper Landing Road. As such, this Cherry Hill retail space for lease has excellent visibility from the very busy east-west regional artery of Route 38. Parking is abundant at this Cherry Hill retail space for lease and there is both pylon and above-store signage available at this retail space in Cherry Hill NJ. Wolf Commercial Real Estate, a Cherry Hill commercial real estate brokerage firm that specializes in Cherry Hill commercial real estate listings and services is offering this retail space for lease in Cherry Hill NJ. For more information about this Cherry Hill retail space for lease in the Crossroads Plaza at 843 Cooper Landing Road Cherry Hill NJ or about any other Cherry Hill commercial properties for sale or lease, please contact Jason Wolf (856-857-6301; jason.wolf@wolfcre.com) or Christopher Henderson (856-857-6337; chris.henderson@wolfcre.com) at Wolf Commercial Real Estate, a Cherry Hill commercial real estate broker.